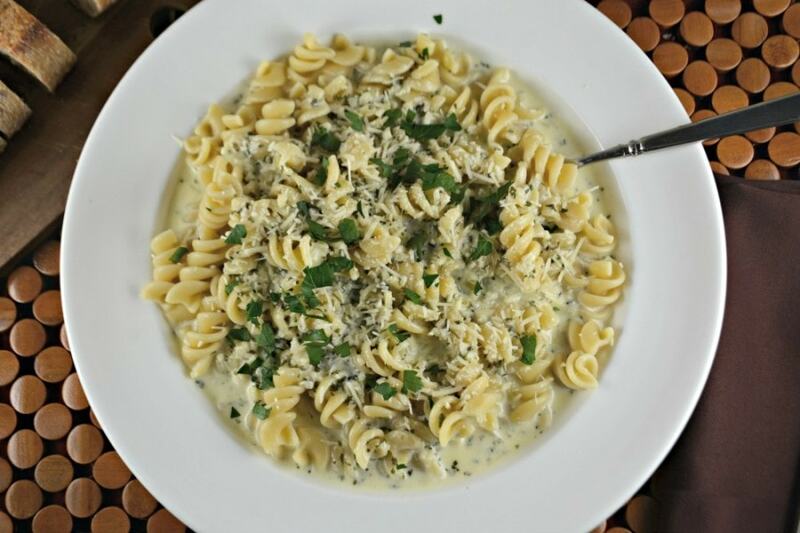 Awesome Alfredo Sauce is fast, easy and delicious. Only a few ingredients, this sauce is easier than you think to make! Homemade is always so much better than store bought! Sometimes I add more garlic and sometimes less. With this sauce, the key is tasting it as you go and once it is made. We are garlic lovers here so I always add more than the recipe calls for! I can’t help it! 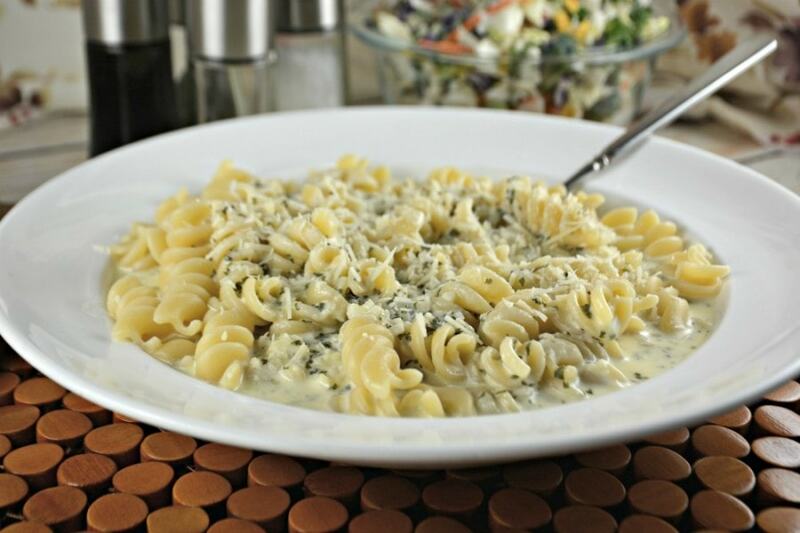 You have some options with the cheese in this Awesome Alfredo Sauce recipe. Occasionally I add 1/2 cup mozzarella and 3/4 cup parmesan instead of just parmesan cheese. Also so tasty. I can’t wait to hear which version you prefer! 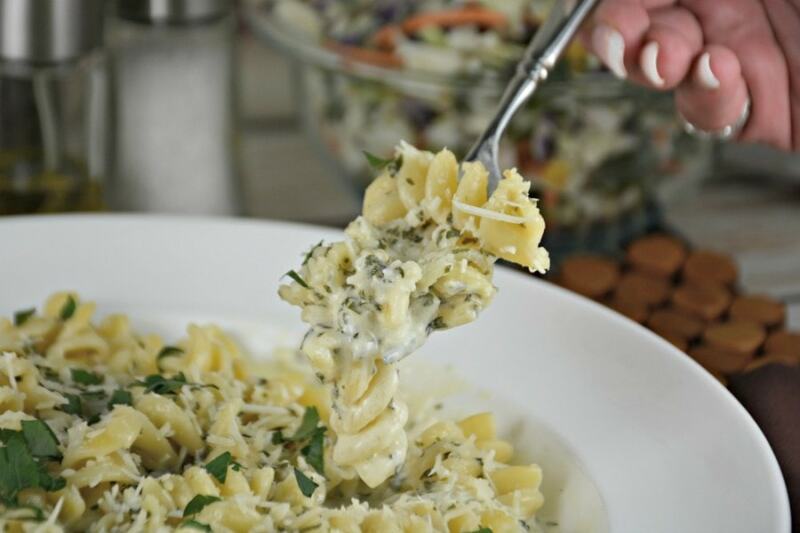 You can easily add vegetables to this Awesome Alfredo Sauce. I have been known to sauté whichever vegetables I have on hand. Everything from broccoli and zucchini to mushrooms, onions and peppers. I figure this sauce is so good anything goes and no one ever complains! 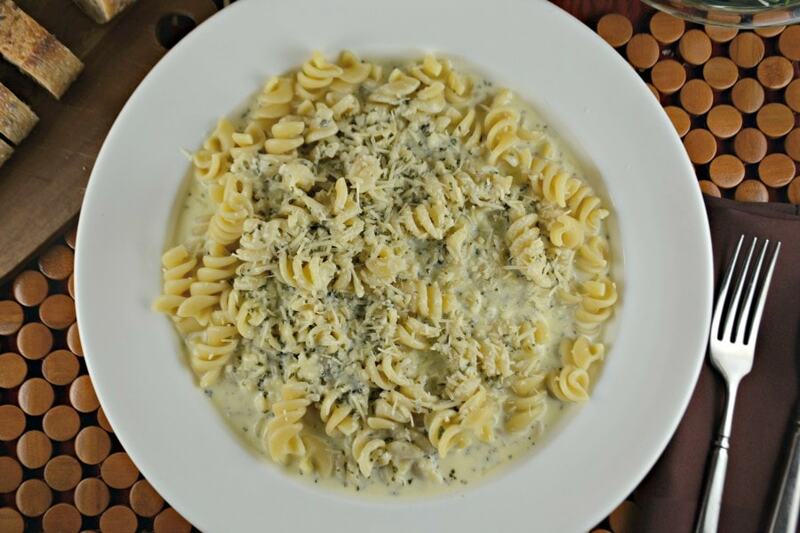 All you have to do is choose your favorite pasta and you have an awesome meal, perfect for any occasion! 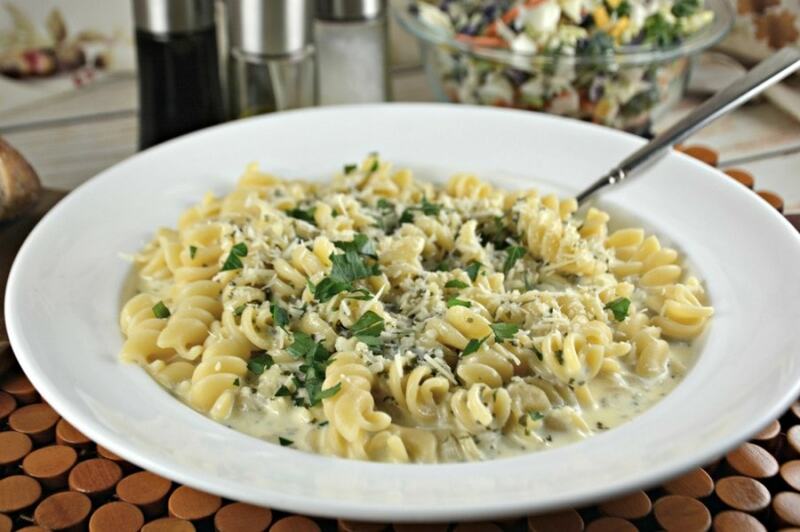 Check out my Loaded Awesome Alfredo Pasta recipe. It is delicious and will suggest specific ways to prepare your own loaded pasta dish. 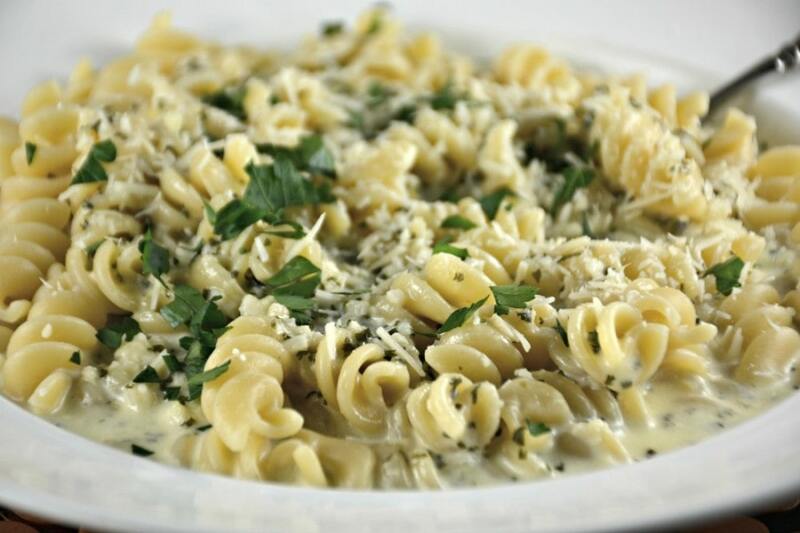 Awesome Alfredo Sauce is called awesome for a reason! For years I purchased alfredo sauce in a jar. I haven’t served my family a store bought version, unless needed, ever since and they can tell the difference! So will you! It all tastes so good. 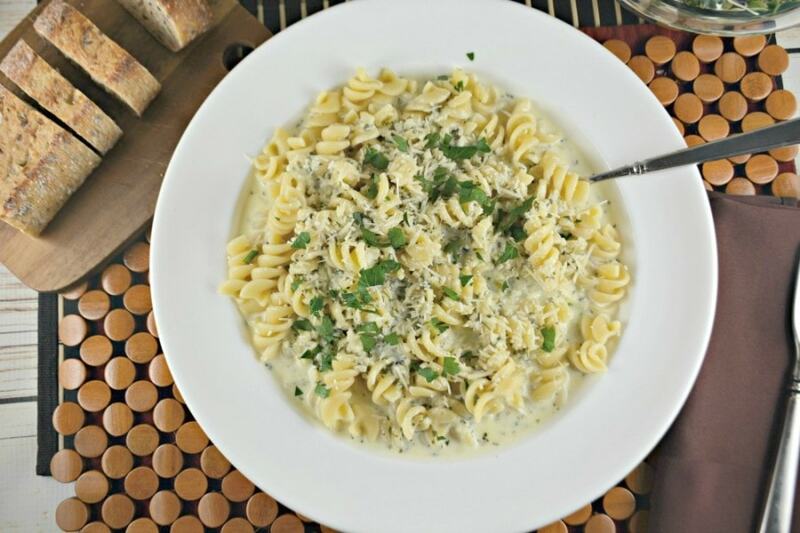 This Awesome Alfredo Sauce is definitely worth a try! In a saucepan or skillet, melt butter over medium low heat. Add cream, increase temperature to medium high and bring to a gentle boil. Reduce back to medium low and simmer for 7-9 minutes. Stir regularly. Season with salt and pepper. Stir frequently. Add the garlic, parsley and parmesan. Whisk constantly until cheese is totally melted, about 3 minutes. Make pasta according to package directions. Reserve 1/2 cup of pasta water to thin sauce if necessary. Drain pasta and toss with sauce to combine. Serve immediately. Enjoy! If you are adding vegetables or meat to the sauce, sauté first until cooked and toss with pasta just before serving.